The foundation pool, dry for years, has been restored, enhanced by new landscaping to create a cool oasis. New furnishings, selected for long-term durability and easy of maintenance have an urbane, elegant style which enhances their setting. Lighting has been upgraded, making the courtyard usable and inviting by night. 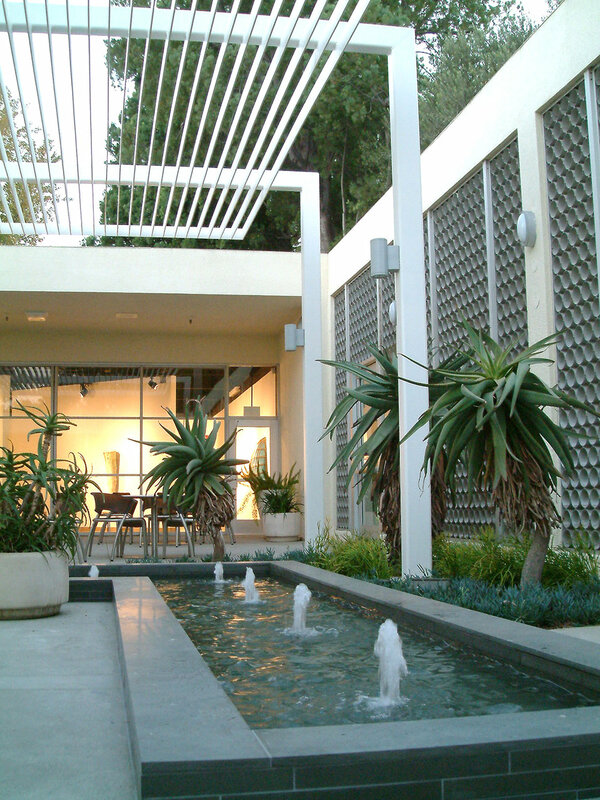 The 2,000 SF Arts Courtyard is able to serve many functions, from casual everyday student gatherings to formal evening receptions for art shows.